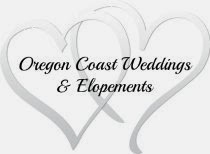 February is the month for romance and we've been honored by two amazing couples recently here at Sandlake Country Inn. Daragh Byrne & Leanne Shaw first stayed with us December 2009. Years after a breakup, living on opposite sides of the country, fate brought them together again. After staying with us a few days in the Starlight Suite, they knew that it was time to be together again. A couple months later, when on their return stay in the Cottage, Daragh and Leanne became engaged! Now, a year later on Sunday, January 30, 2011, this lovely couple was married, and honored us again with staying back in the Starlight Suit for their honeymoon. Congratulations to Daragh & Leanne!! We know the romance will continue and we look forward to seeing them for many years to come. Our next couple is Hugh and Jen. It was just this Valentine's weekend, on their 4th year being with us to celebrate St. Valentine's Day, with ring in hand, Hugh officially popped the question and Jen said "Yes"! Sunday morning this wonderful couple shared the news with us and we couldn't be more thrilled! They were both beaming with delight and I can't wait for next Valentine's Day to catch up with them. Hmmm....there must be some magical powers about the Cottage. Both of these couples were engaged while staying there. It's a trend! One of the Best Places to Kiss on the Oregon Coast.